Parfetts is the winner of the UK EO Awards Employee Owned Business of the Year 2018. 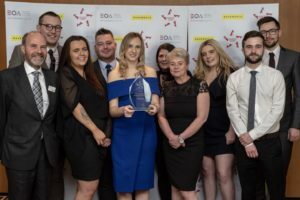 The award celebrates an established employee owned business that can demonstrate how its employee ownership status/culture drives its excellent all-round business performance. “This means the world to us as we celebrate our 10 year EO anniversary. We are all very proud of the company we work for and receiving the award.